Toyota Land Cruiser Prado 3.0 Diesel is a big SUV and it requires lot of power from the battery. So, a low quality battery may lead to create problem for you. Install your Toyota Land Cruiser Prado 3.0 Diesel with the latest technology battery from everyonechoice.com. We offer guaranteed 36 months warranty to any customer purchasing battery from our site. 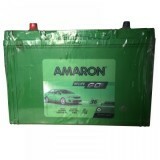 Exide or Amaron batteries of capacity 85 Ah is used for Toyota Land Cruiser. Buy Toyota Land Cruiser Prado 3.0 Diesel Car Battery Online from our website. Toyota Land Cruiser Prado 3.0 Diesel car battery Price in Delhi, India can be checked here.